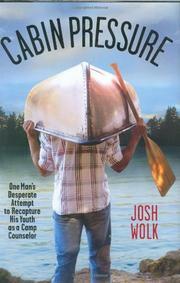 In his first book, Entertainment Weekly senior writer Wolk chronicles his return to his old summer camp as a counselor the summer before his marriage. Wolk writes with passion of bug-filled nights and the odor of mildewed clothes. At 34, while his betrothed plans their wedding, Wolk runs away for a final summer at the boys' camp in Maine that he attended as a kid. There he herds 14-year-old boys through the rituals of swimming, archery lessons and the fine art of bonding through mutually administered insults. Nostalgic to the extreme, Wolk starts out the summer in a near-trance, remembering all the great times at camp from his childhood. It’s not long before joy begins to fade, as Wolk dredges up some less pleasant memories, especially those involving Mitch, a bullying hyper-jock who's also back as an elder counselor. Wolk also starts to doubt his ability to relate to boys two decades younger, settling for gently razzing them and giving everybody nicknames (“Action,” “The Fog,” “Patrioticus”) that they proudly accept. By the end of the summer, bonds have been formed and lessons learned, though rarely in the expected cinematic manner (“I'd miss them. Less so on rainy days, though”). A genial writer, Wolk can overstate his point, but he's never afraid to highlight his general cluelessness. An entertainingly meandering trail toward self-discovery that’s in little hurry to get anywhere.